The Los Angeles Dodgers made a pretty surprising trade on Thursday, in dealing veteran catcher A.J. Ellis to the Philadelphia Phillies for another veteran catcher in Carlos Ruiz. The trade also included right-handed pitcher Tommy Bernjans and a player to be named later to the Phillies, as well as cash going to the Dodgers. But, the main story out of this deal is certainly the Ellis-Ruiz swap, and if you just look at it on paper, it makes perfect sense for the NL West-leading Dodgers. Ellis has just a .194/.285/.252 slash line with a -0.3 WAR according to FanGraphs, while Ruiz has a .261/.368/.352 slash line with a 1.3 WAR. However, there is a lot more to this one, as Ellis was drafted by the Dodgers in 2003, and has been with the big-league club since 2008. And the main thing- he’s been Clayton Kershaw’s personal catcher for a long time. AJ Ellis: “It’s a really sad day for me,” and added the trade “rips your heart out.” He looks crushed. Absolutely crushed. 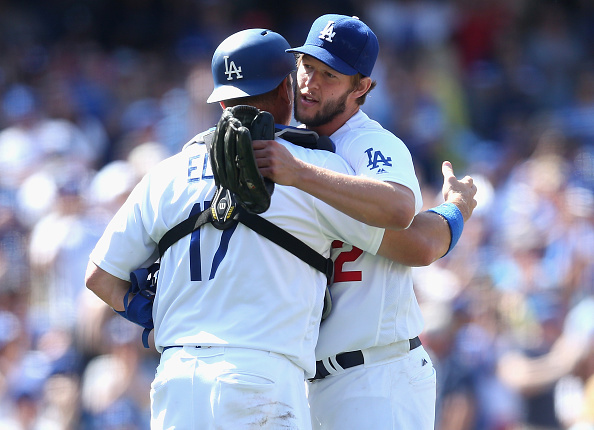 Ellis described Kershaw as “shocked” by the trade. The two men wept together, he said. What Ruiz doesn’t have is the relationship with Kershaw, of course. The Dodgers have been red-hot while Clayton Kershaw has been on the disabled list, currently owning a 71-55 record and three-game lead over the San Francisco Giants in the NL West. Kershaw hopes to return in the next few weeks, and hopes to keep up the amazing success that he had with Ellis, with Grandal and Ruiz.